Businesses in the Fox Cities have found costs of healthcare have not increased nearly as much as in other regions. Fox Cities residents have access to a complete range of high-quality healthcare programs and facilities. There are 700 beds and over 900 physicians between the three major regional hospital systems. Appleton Medical Center and Theda Clark Regional Medical Center were also recently ranked among the Top 100 Hospitals in the U.S. by HCIA, Inc.
For four consecutive years, Affinity has been named one of the nation’s top 64 health systems based on clinical performance according to Thomson Reuters, a leading provider of information and solutions to improve the cost and quality of health care. For ten consecutive years, Affinity Health System has been named to the SDI (formerly Verispan) Integrated Health Network Top 100, an annual assessment of the 100 most highly integrated health care networks in the nation. In 2012, Mercy Medical Center was named one of the nation’s Best Regional Hospitals, according to U.S. News & World Report. 22 Affinity Medical Group clinics have received national recognition for their medical homes by the National Committee for Quality Assurance (NCQA).  They have received Level 3 Physician Practice Connections ® – Patient-Centered Medical Home Recognition (PPC-PCMH™), the highest level of recognition. St. Elizabeth Hospital in Appleton and Mercy Medical Center in Oshkosh were honored in 2012 with a Partner Recognition award by Practice Greenhealth, a national membership organization for health care facilities committed to environmentally responsible operations. The award is one of Practice Greenhealth’s environmental excellence awards given each year to honor outstanding environmental achievements in the health care sector. Members of Affinity include Mercy Medical Center and Mercy Health Foundation, Oshkosh; St. Elizabeth Hospital and the St. Elizabeth Hospital Foundation, Appleton; Affinity Medical Group, a regional network of 25 family practice and specialty clinics – 22 of which are recognized as NCQA Level III medical homes, the highest level of recognition – in 14 communities; Calumet Medical Center, Chilton; and Affinity Occupational Health. ThedaCare’s mission is to improve the health of our communities. We achieve that through involvement in a number of community initiatives, including improving access to rural healthcare, improving mental health services for children and teens, and addressing the obesity epidemic. 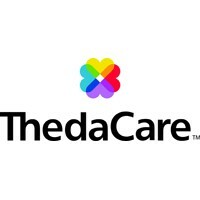 Based in Appleton and community owned, ThedaCare includes Appleton Medical Center, which is home to the ThedaCare Cancer Center and the Appleton Heart Institute; Theda Clark Medical Center in Neenah, which is home to the area’s only Level II Trauma Center and Children’s Hospital of the Fox Valley; New London Family Medical Center; Shawano Medical Center; Riverside Medical Center in Waupaca; 22 ThedaCare Physicians clinics; ThedaCare Orthopedics Plus; ThedaCare Behavioral Health; ThedaCare At Work; ThedaCare At Home; and The Heritage and Peabody Manor Community, which provides customized senior living choices and hospice care. Consumer Reports recently rated ThedaCare Physicians as the best in Wisconsin at offering cancer screening tests to patients, providing care for people over the age of 60, and treating patients with heart disease. The Wisconsin Health Information Organization ranked the system number one in Wisconsin for providing the highest quality care. ThedaCare is continually listed among the nation’s Most Wired healthcare providers thanks to technical advances and electronic medical records that link medical providers and partners together. 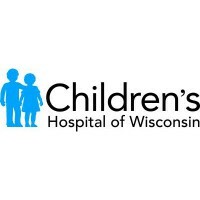 Children’s Hospital of Wisconsin is the only hospital in the Fox Valley dedicated exclusively to the care of kids. Our staff builds on more than 100 years of excellence in pediatric health care, a tradition established by Children’s Hospital of Wisconsin in Milwaukee, which is ranked among the best pediatric hospitals in the nation. Our staff is specially trained and experienced in treating children of all ages – from newborns to teens. Our pediatricians are on site 24/7. More than 75 percent of our nurses are certified in pediatrics. We offer space for parents to sleep and shower so they can stay close to their children. We offer Child Life specialists who help children cope with their hospital stay through play, socialization, preparation and support during procedures. We have four neonatologists. At least one of these physicians is on site or available 24/7. We have an experienced team of neonatal nurses. Most of our nurses have more than 15 years of experience. Our transport service, which is available 24/7, allows NICU nurses and respiratory therapists to provide care while infants are rushed to our hospital from other facilities. Our nurses have advanced training that allows them to create the most appropriate care plans for the developmental level of each baby. We provide cutting-edge treatments to improve outcomes. To find out more about the healthcare in the Fox Cities region please contact us.